Even if some reviewers accused Ubisoft’s Far Cry 4 of being derivative, and borrowing too much from its superb predecessor Far Cry 3, the truth is that Far Cry 4 still was a superb action game when it launched in 2014, and one of the best games in the Far Cry series to date. Set in the fictional Himalayan country of Kyrat, American protagonist Ajay Ghale arrives in the country to spread his mother’s ashes but soon finds himself in the middle of a bloody civil war between the Golden Path rebels and dictator Pagan Min’s Royal Army, fighting for the rebels in a series of missions in the game’s open world. And it turns out that Pagan Min is true to his word, and actually comes back after 15 minutes (leaving Ajay plenty of time to enjoy his crab rangoon meal). 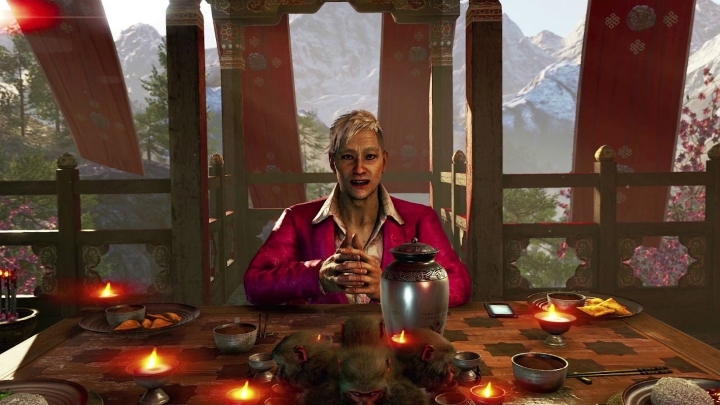 Pagan Min then accompanies the protagonist to a location where he can spread his mother’s ashes, and we get to know more about Min’s relationships with Ajay Ghale’s mother (you can watch this alternative Far Cry 4 ending below). What’s most shocking about this ending though, is that it’s a peaceful resolution to what otherwise is a very violent game, and that it shows Min in a very different light. If throughout the campaign the dictator is shown as a cruel and ruthless tyrant who does not hesitate to resort to extreme violence to put down those who would oppose him, in this ending he’s more like a father figure to Ajay, letting him do what he came to Kyrat to do. 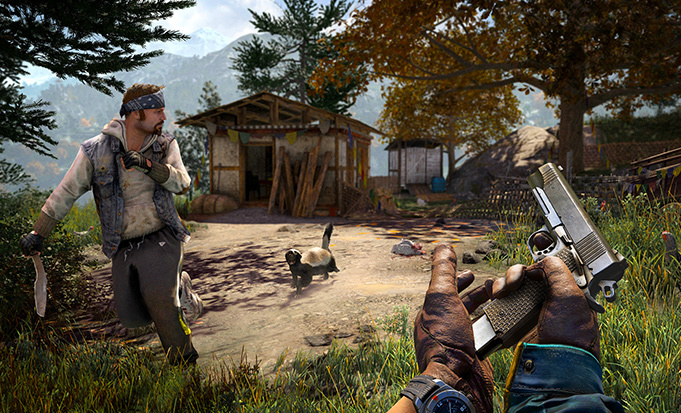 No doubt it is hard to find peaceful endings like this in action-packed first person shooters like Far Cry 4, and Ubisoft really must be commended for offering an insightful ending like this, as the typical video game in this genre is normally brimming with violent content from end to end. But despite the controversy surrounding video game violence and violent games, it is still clear that Far Cry 4’s action-packed campaign is a blast to play, and this alternative ending and Easter egg is just the icing on the cake in what no doubt is one of the best entries in the Far Cry franchise to date. Next: Will the Assassin’s Creed Movie and Its Sequels Break the ‘Video Game Movie Curse’? The $150 Million Lawsuit: Was GTA Developer Leslie Benzies Forced out of Rockstar?